I love to celebrate Easter as a family. All the adorable spring themed crafts and activities, and cute chicks, bunnies, and eggs are awesome. But, I also want to be sure that my kids are reminded often of the REAL reason we celebrate Easter with such enthusiasm. 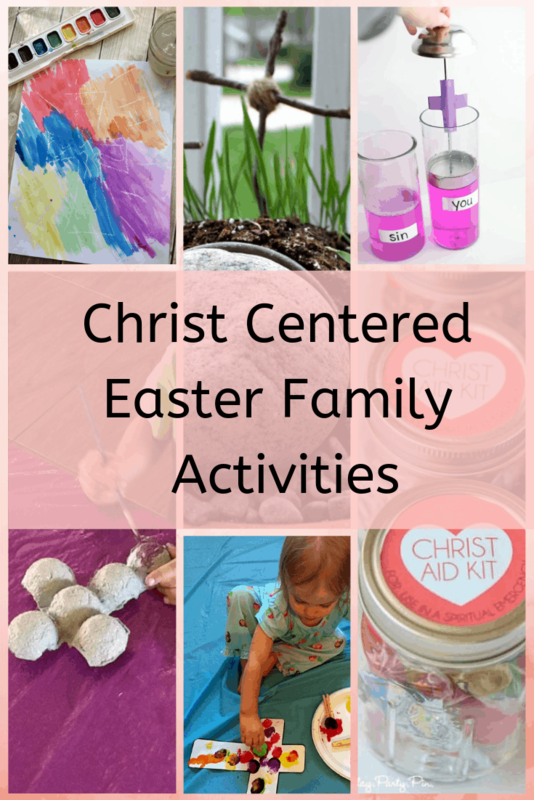 Today I’m sharing 19 Christ Centered Activities that are fun while also emphasizing the Christ in Easter! 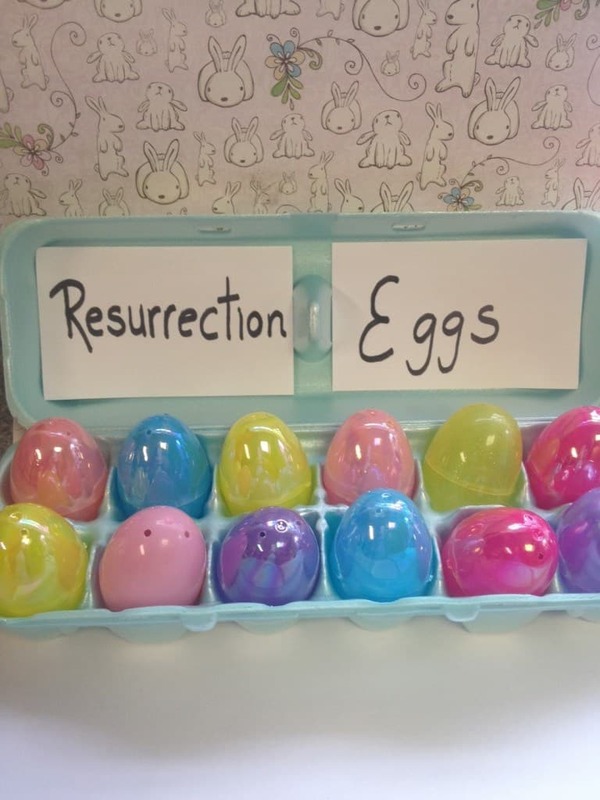 Create a set of Resurrection Eggs, which help teach children the meaning of Easter. After making your eggs together, open one egg each day for the 12 days leading up to Easter. 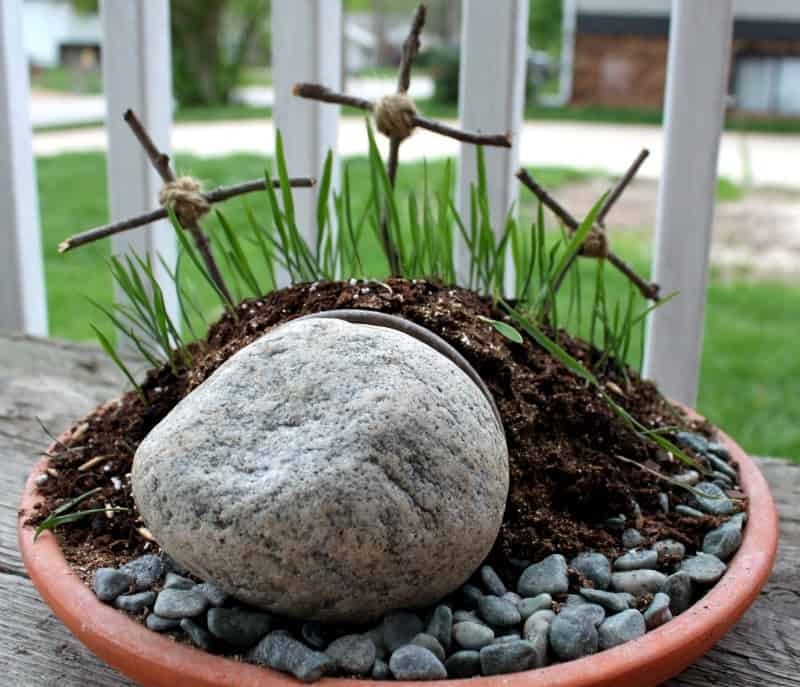 Create an Easter Garden complete with an empty tomb to remind your children that Jesus is risen! Gather your family for an Easter Story Family Night with fun and meaningful activities to walk through the complete Easter story as a family in one evening. 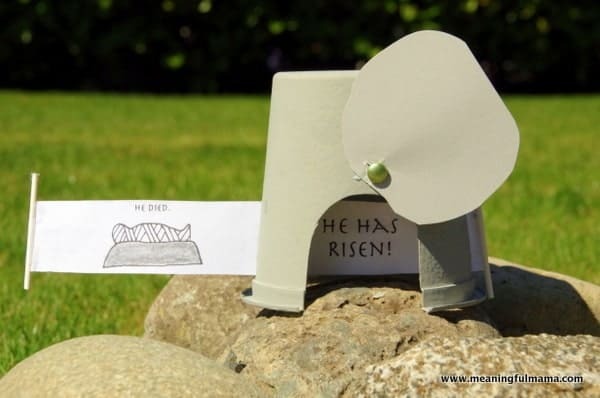 Read the book God Gave Us Easter, then use these great Easter Book Learning Activities to explore the story and meaning of Easter through book related activities. Bake these fun Empty Tomb Rolls with your children. 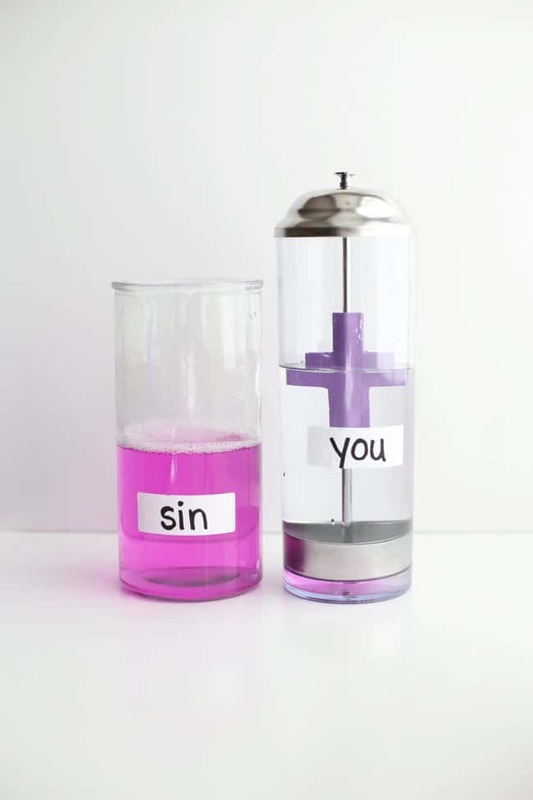 This amazing Jesus Science Experiment demonstrates how Jesus washes our sins away. Make a fun and easy cross to display with this Pom Pom Cross Activity. 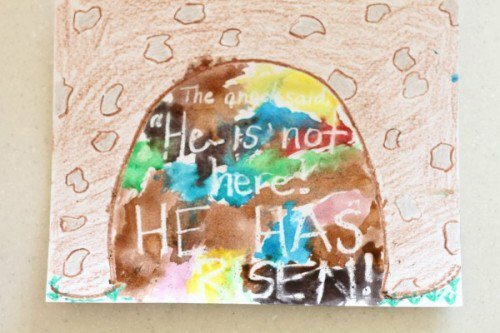 Where is Jesus Watercolor Art – Use this free printable to make a secret message for your children to discover at the tomb. Make a cross using an egg carton with this Easter Cross Craft. 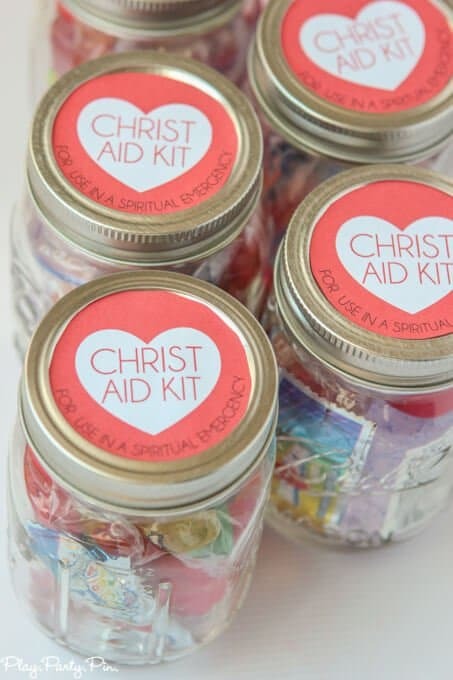 Learn how Jesus’ sacrifice can help us through trials with this Christ Aid Kits tutorial. 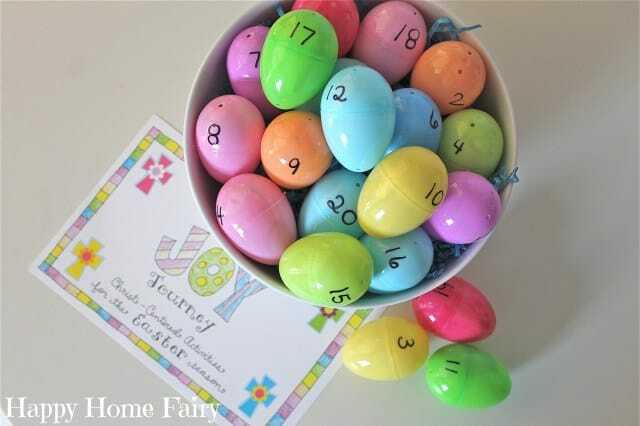 This printable Easter Story Trivia Game is a great choice for helping your family learn Easter facts while also having a great time together. While playing trivia, make these Resurrection Cookies or these Resurrection Rolls fun to signify Jesus’ empty tomb. Go on The Joy Journey Easter to remember all Christ has done for you! This Easter Word Search Puzzle is a great way to keep kids busy while talking about the meaning of Easter. 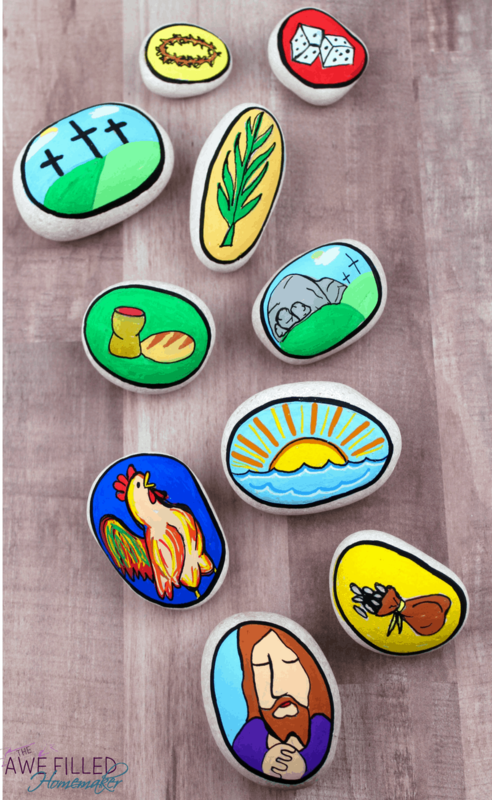 Use these beautiful Holy Week Stones share the story of Jesus’ last week with your family. Make your Easter Egg Hunt Faith focused with resources from this Faith Focused Easter Hunt. 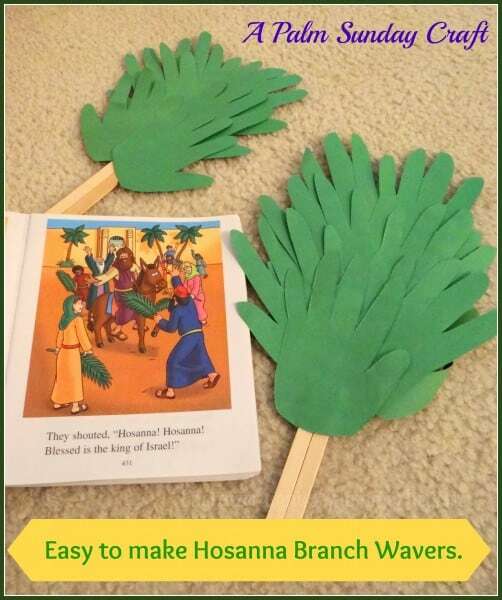 Reenact Palm Sunday as a family with this Palm Sunday Craft. I hope you have a wonderful time doing some of these activites wiht your family this Easter season!